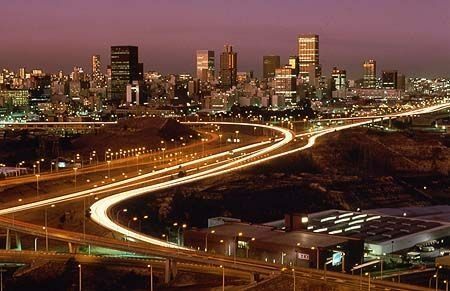 Johannesburg or ‘Jozi’, is a bustling centre of commerce and transportation in the Gauteng Province. Maharishi Institute is located in the heart of the city. Johannesburg, known colloquially as Joburg or Jozi, is the economic capital of South Africa and Africa’s most powerful economy, generating some 17 percent of SA’s wealth, with a growth rate higher than that of the national economy. It is the gateway to Africa. Maharishi Institute offers access to the finest business development via distance education and local accredited and registered partners, in the continent’s economic hub, the place where business starts. Joburg is ranked No 1 in Africa and No 11 globally as best emerging market centre of commerce in the 2008 MasterCard survey. The City’s growth is due to its visionary leadership, diversification to globally fast growing sectors, its socio-economic development and a conducive climate for foreign direct investment (FDI). While the rate of return on FDI is higher in Africa than anywhere else in the world (2009 African Economic Outlook), Joburg is enjoying a substantial percentage of all investment. Joburg is a dynamic centre of production, innovation, trade, finance and services.